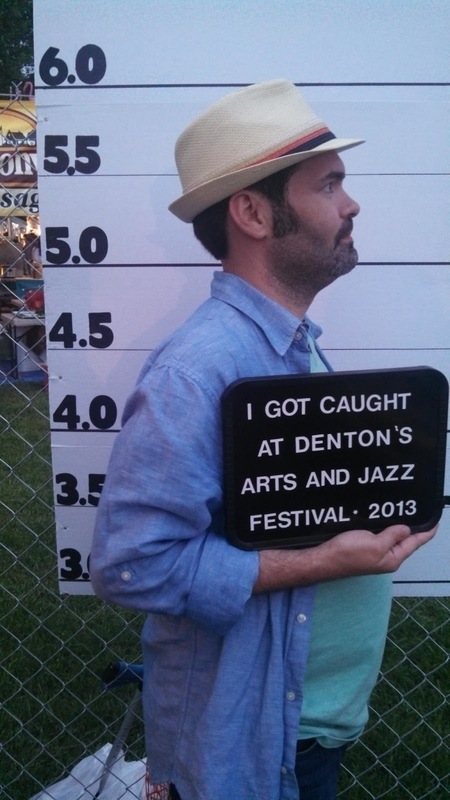 Well fellow Dentonites, it is that time of year, where things get muddy, thunderstorms come in, and that means it is time for Jazz Fest! For 36 years, Denton has hosted this great family friendly event with artisans and musicians coming in from all over. I have been to most of them, when I can, and have attended for going on 5 years straight, so, I think I have some insight on this event. Here are some things to help out some of the newbies and to remind some of the seasoned Jazz Fest veterans out there. First off, if you have a phone, get a good charge in the morning, if you have backup batteries, bring them or a charger. The reason I say this, go on to their Facebook page and make sure that you look at all the events, they are sectioned out by stages and you can see who is playing and when. 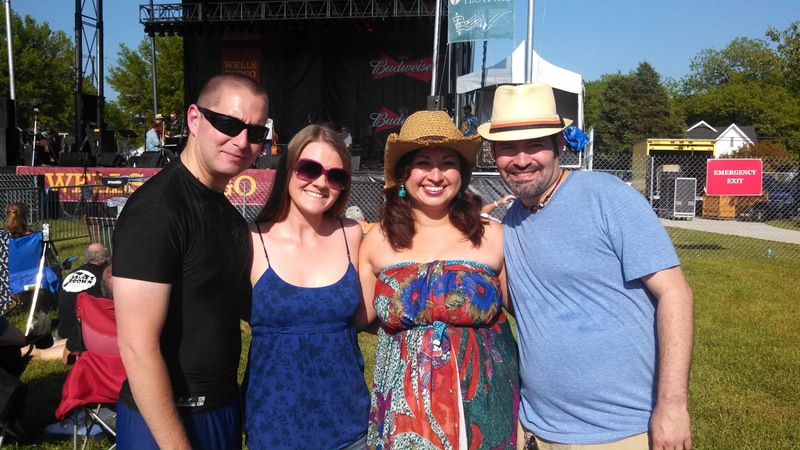 Plus you can take some great pics and share them on the page and with the #Jazzfest and #DentonTrav, and keep an eye on possible weather situations (it is Jazzfest and it is notorious for weather situations). I have listed some other helpful page links here below as well. I did the searching for you. Weather Underground– This also has a phone app as well to keep up to date weather situations. Next, don’t forget sunscreen! Trust me on this one, even though it might seen cloudy, this is where it gets bad, so, unless you plan on being a lobster or wanting to match the color of the crawfish you just ate, I would suggest a few coats during the weekend. Bug spray, not a bad idea to go ahead and have some on hand for when it gets into the evening, those little buggers can be frustrating and make for a not-so-fun-fest. Cash, good idea to have some on you, most of the vendors now have some kind of card swiping, but at times just makes it easier and keeps you from having to go to the ones that charge you at the festival. Water, I would grab a few bottles of water to head out or one that you can refill there. It is planning on being a nice day on Saturday, but you can get dehydrated pretty fast. Blankets and something to sit on, I recommend the folding chairs if you can but at least a blanket, with all the rain here lately, it is going to be a bit wet, I would get something that will fight the wetness of the ground but also make for a place you and your friends can call home for the next few days during the festival. Sunglasses, well, you have to look cool while you are doing the Chicken Dance, plus it helps when you take those pictures as well. A hat- keeps the sun out of your eyes and off your head so you don’t get sunburned. Also, head by either of my good friends close by at The Bearded Monk, Midway Mart or Midway Craft House and get you some cans of good tasting beer to take out there as well if you don’t want to spent too much. And Midway Craft House and The Bearded Monk had some plastic growlers available as well, last I heard, but they might go pretty quick for the weekend. Now I will say, the proceeds do go to the festival for all the food and beer purchased there. And a bag for all of this to go in, I usually take a backpack, it is easier to deal with and transport. Plus, I can hang things off of it and keep my purchased items in there, if they aren’t too big or fragile (it’s Italian). Last but not least… friends, family, coworkers, sons, daughters, and everyone in between. This is what makes this fun, the memories and fun shared with friends and family while you are there. Be respectful of others, meet some new friends, get some good food and drinks, a great souvenir, and as always, be safe! 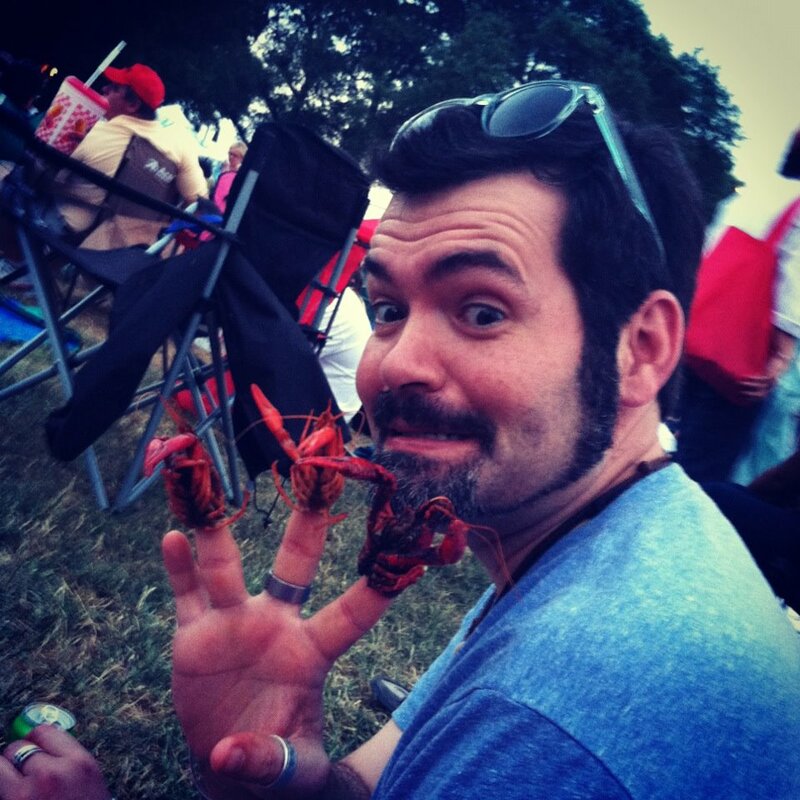 There is my list and advice for fun at the annual Jazz Fest. Hope this helps some people out there and enjoy this year listening to some great music and fun at what Brave Combo’s Dave Finch would say is Denton’s Family Reunion!